rhododendrons to arrive before I take my blog pictures. After that will be the wild garlic in the forest! Today I wanted to take you on a little dress tour as it's pretty rainy outside! Here are a few of my favourite dresses I've collected over the years. I've thought about trying a capsule wardrobe but don't know how I would whittle down my collection, plus I tend not to wear jeans and non-dress-items as often, so it would be pretty biased haha! My favourite places to shop are storenvy, ebay and from blog sales/small businesses, as I can find a lot of variety on there. I also enjoy the likes of New Look and occasionally Topshop/Debenhams/Primark. This is how I got in to dresses: I completely have a thing for Victorian and Edwardian dressing and the beautiful flowy, poofy dresses technical terms with huge buttons up the front. 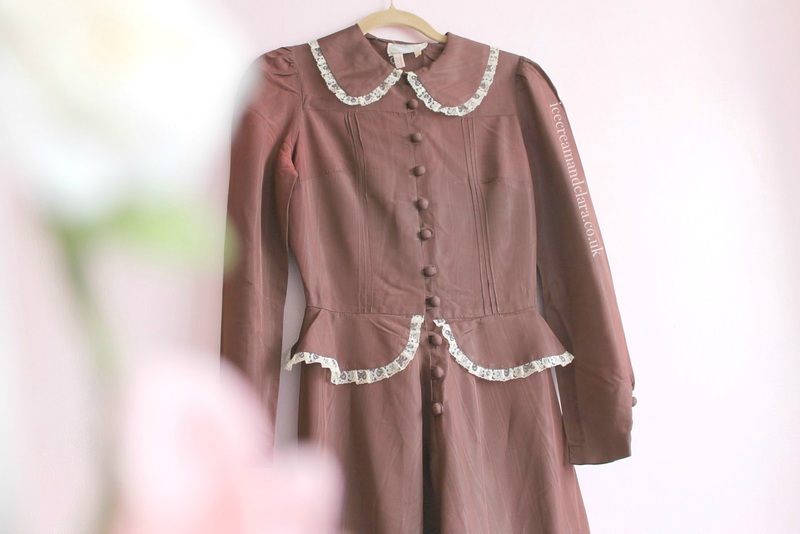 I discovered this second hand brown silk number on ebay for about £25 and love the dainty lace collar and details. It has buttons on the sleeves and poofy shoulders too and is floor length. There is no indication as to how old it is but I would say 80's at a guess, as it has a modern label. I can't call this dress vintage, but it definitely has a vintage style. I love the ornate buttons and embroidered collar and it goes really nice under a cardigan, so is pretty versatile, whatever the spring weather! I purchased this earlier in the year from storenvy, alongside my Cherry Blossom dress (but hey, that's already had its little feature!) The only con is it creases easily, so I have to store it as neat as I can in my wardrobe. This one comes just above knee height. Again, I can't call it a vintage dress but it's so cute, I love the fox print! It comes down to knee height and has little pleats in the skirt. I found this in the ThunderEgg dress shop in Manchester and it's by Run and Fly. It's so quirky and originally came with a little tie round the waist, which I impatiently discarded because it was easier to wear without, plus it gives it more of a smock dress feel, which I love! This is a floral, second hand Liz Lisa replica number. The fact that it is a replica doesn't bother me in the slightest, as I love the style of it and am not really drawn in by big brands except Too Faced *cough cough*. I found this on ebay for about £15 and it's really cosy and feels soft and fleecy. It's definitely my dream winter dress! The collar and sleeves have lace detail on them and I've paired it with my Accessorize rocket bag as the two look super cute together. Beautiful photos - beautiful dresses. I especially love the last one. It's fantastic. 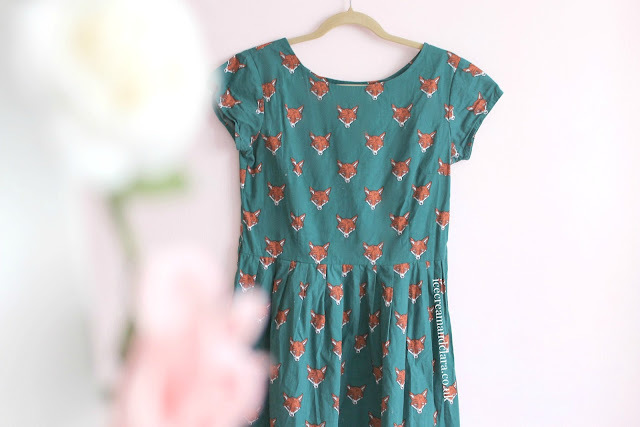 In love with the fox print dress, super cute ! 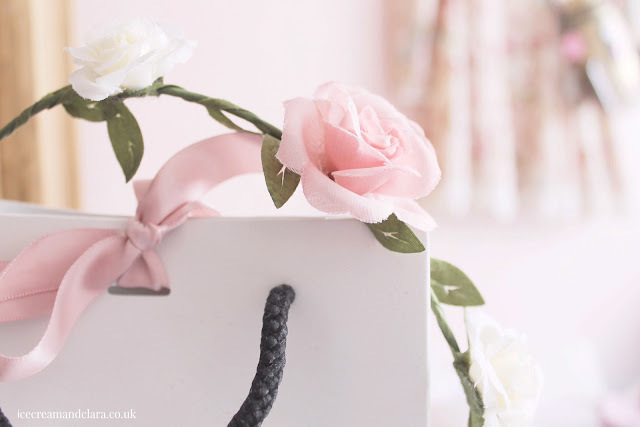 They are so beautiful and so is your blog. I love to collect vintage dresses myself. the fog print and liz lisa replicate dress are just amazing! i probably would wear the fox one 24/7 just because. i love your collection! i hope they'll grow more! I could never have a capsule wardrobe for the exact same reason. I live in dresses! The only pants I wear are gym pants or pjs! I love that last one, and the rocket bag is just too cute! I just cannot get over how amazing your photography is. 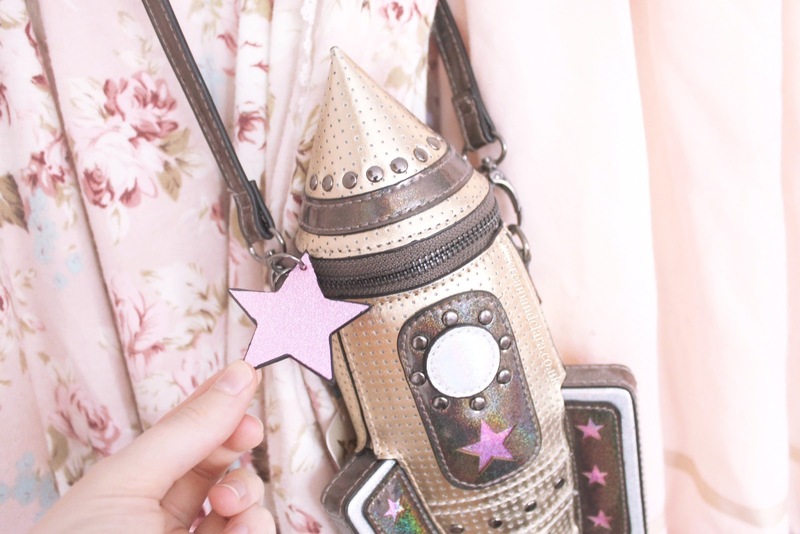 That little rocket bag is gorgeous, too! Ugh Elizabeth, your blog is so dreamy. I love all these pretty dresses - you basically have my dream style that I'm too afraid to actually wear haha. 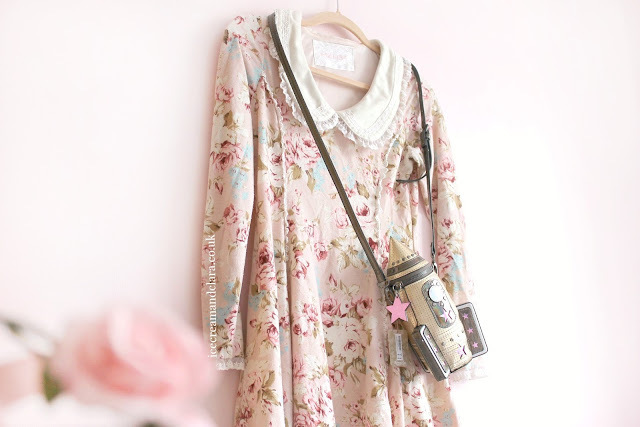 The second dress is so cute and dainty and of course that rocket bag is super cute too. Such lovely dresses! I'm also loving that rocket bag, amazing.